Fulmars, choss and one really big route. 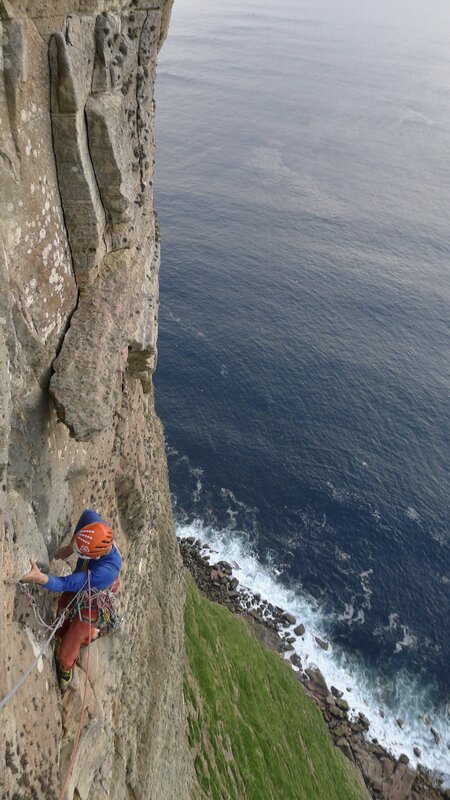 Tony Stone and Tom Livingstone made the second free ascent of The Long Hope Route (E7 6c), on St. John's Head, Hoy, Scotland. Their ascent took two days in June 2016, and their route shares much of Dave Macleod's route 'The Long Hope Direct' (E10 6c).